Staying here is like being home away from home, with all the little and thoughtful necessities of staying in a hotel. 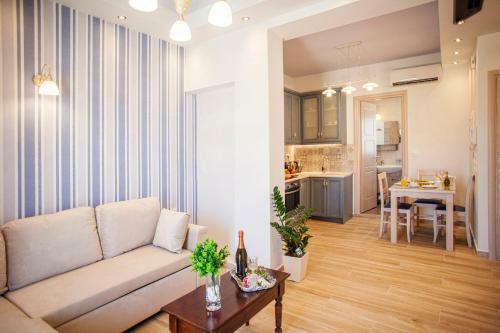 Great location in the heart of Rethymno, these self contained service apartments are well maintained and the hosts are quite friendly and generous with their welcoming hospitality. Lovely accommodation in a central location. Very helpful host and a suprise welcome with fruit and wine. Would definitely recommend this property. Within 15 mins of meeting Yannis, he already blew us away with how helpful and warmly welcoming he was. 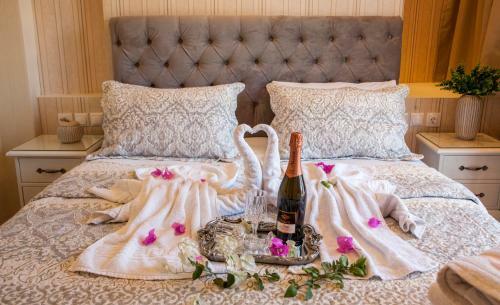 It was our honeymoon and all the seemingly small touches made such a huge difference. If the room was a hole, it still would've been a good stay. Luckily it was lovely too! Super clean and Yannis made sure our rooms were well stocked. Our only regret is we were only staying the one night. Highly, highly recommend! Yannis was very welcoming. He paid for the parking in the public parking lot up the road. Was so sweet that he provided a bottle of wine on our arrival and had fruit in the refrigerator for us. He also had some gifts for us when we left. Location is very central. We would have loved it if we had time to stay longer. The best part of staying here was Yannis - he waited up very late for us until we arrived and then took us to our room, which was stocked with honey, fruits and tea. Upon leaving, he gave us little souvenirs. He was the sweetest. Additionally, the hotel was in a great location in the middle of the old town - an easy walk to everything. The room was comfortable and we loved sitting out on the balcony with a glass of wine in the evening. Yannis was very welcoming and helpful. Our apartment had a washing machine and full kitchen which was great. The location is super central being in the Old Town. Nice balcony provided great water and street views. Gifts given at check-in and checkout were very kind. No breakfast as this is an apt. hotel. Owner very friendly providing fruit and wine free and dispensing gifts on departure. Very convenient for esplanade and old town souvenir shops. Short walk to bus station. This place was fantastic. Everything you could want in a hotel was provided and more. The location couldn't be more perfect in old town. One of our favorite things to do was to sit on the balcony and watch the shoppers and strollers below us. The owner had an amazing attention to detail and it showed in the service he provided. 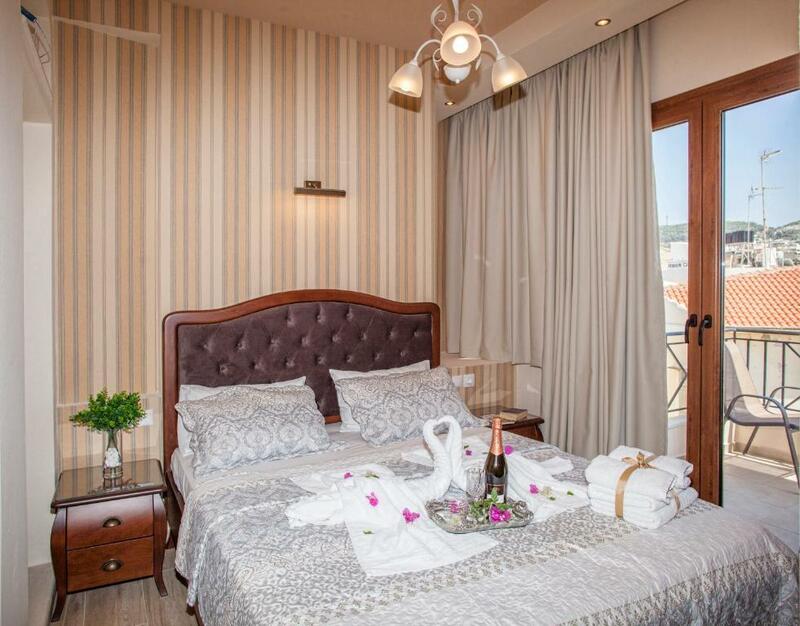 Lock in a great price for Afroditi – rated 9.9 by recent guests! Housed in a historic building formerly used by the French Embassy, Afroditi Hotel stands among the well-known historic center of the Old Town of Rethymno and the long stretch of sandy beach. Free WiFi is available throughout and free laptops can be provided. 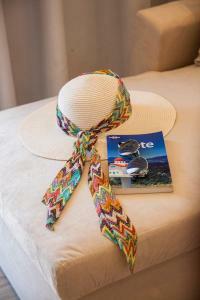 Guest rooms at Hotel Afroditi are traditionally decorated and feature handmade local furnishings. They include free internet, air conditioning and TV. All rooms include a large, fully equipped kitchen. 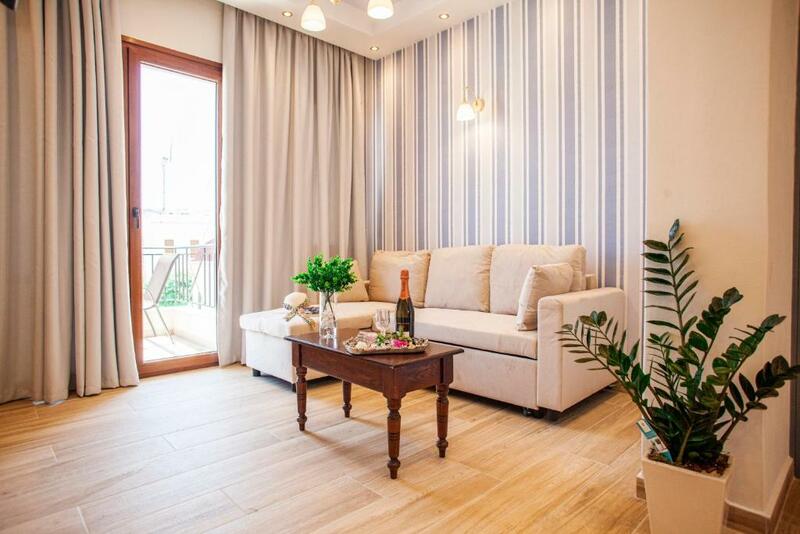 From their private balconies or verandas guests can enjoy views of the picturesque Rethymno Town, while some also offer sea views. Afroditi Hotel is located next to the Venetian Harbor and is within walking distance from the Folklore Museum and the Center of Byzantine Art. 뀐 Located in the real heart of Rethymno, this property has an excellent location score of 9.9! When would you like to stay at Afroditi? Twin or double-bedded studio with a fully equipped kitchen with coffee maker, washing machine, juicer, kettle and toaster. It opens to a balcony or terrace. 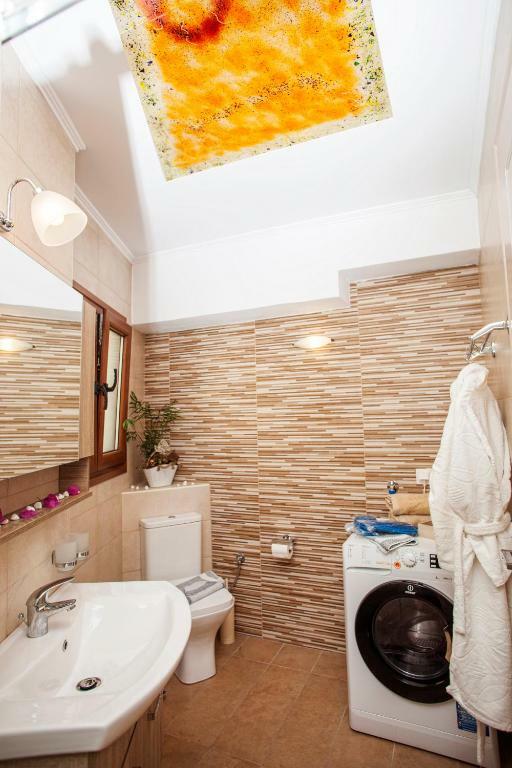 This split-level apartment features a bedroom in the upper floor. It offers a TV and a fully equipped kitchen with a stove and a dining table. A laptop and free Wi-Fi are provided. Please note that these apartments are either split-level or on one level. It is split in 2 levels and features a bedroom in the upper floor. 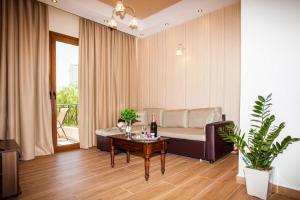 This room type can accommodate 4 additional guests at an extra charge. 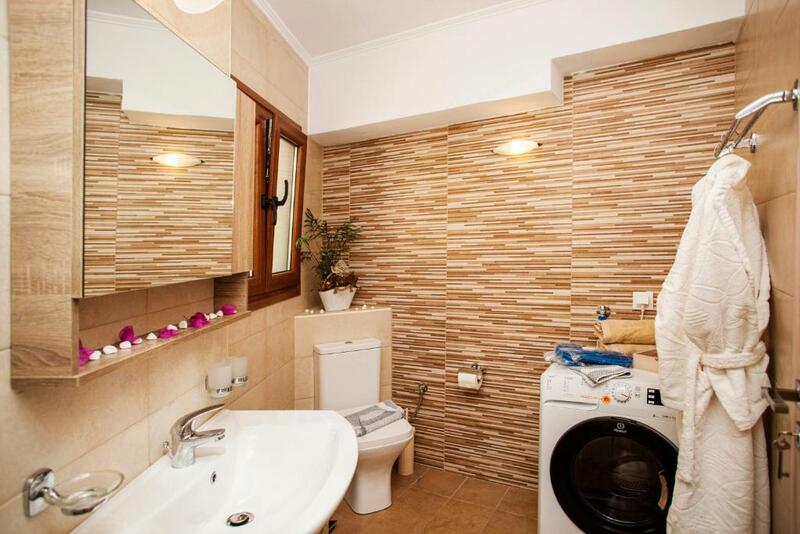 It consists of one bedroom at the same place with the kitchen and it also has a second level which is accessed by staircase and has a futon separated by a curtain. This room type can accommodate 2 additional guests in a double sofa bed, at an extra charge. House Rules Afroditi takes special requests – add in the next step! Cash Afroditi accepts these cards and reserves the right to temporarily hold an amount prior to arrival. Afroditi accepts these cards and reserves the right to temporarily hold an amount prior to arrival. Please note that the private parking is located at the end of Arkadiou Street, by the sea, across from the port authorities. Also note that from May 1 to October 31 Arkadiou and Eleftheriou Venizelou streets are not car accessible. Please inform Afroditi of your expected arrival time in advance. You can use the Special Requests box when booking, or contact the property directly using the contact details in your confirmation. Yanis the host was exceptional in seeking to have our stay enjoyable. The facilities are newly renovated and provided everything we needed.the location was right in the centre and near shops and restaurants. The apartment had a big balcony to enjoy our free wine provided by Yannis. Yannis Laguvardos went far and beyond to make our stay pleasant. He was greeted us with a bottle of champagne and fresh fruits. Everything was clean and designed with care. We even had bath robes and slippers in our room. 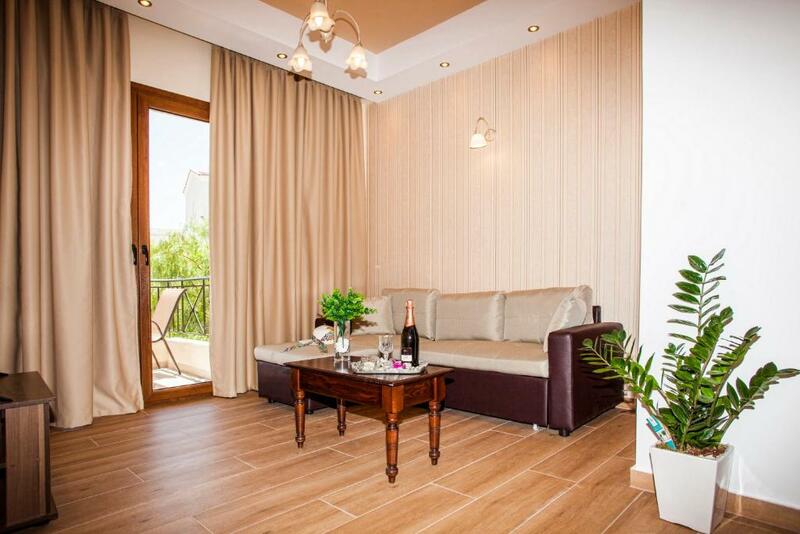 Location is perfect, in a center of old town close to shopping and restaurants and across the street from the beach. Originally we planned to stay for 2 nights but ended up staying 4 nights. Thank you for your hospitality. We knew there was no parking at the property (but a short distance away). Yannis was kind enough to pick up the parking costs. However, due to bad weather some lots were closed the first couple of days of our stay, and parking was a hassle. The owner (Yannis) went out of his way to make our stay enjoyable. He was attentive, kind, and generous. Besides the great location, facilities, etc., I would recommend a stay here just to learn the true meaning of customer service. I liked everything, amazing place! The owner Yannis is such a gentleman. The hotel was lovely, our room was spacious and comfortable the bed was big plenty of pillows and sleep quality excellent, the cooking area was fantastic, easy to cook in the area and the table would easily fit 6 people. The bathroom was very clean and even had a washing machine, shower was good also a bath and the bed linen and the towels were changed frequently. There is a lift to the rooms and the hotel is kept very clean. Yannis is a man who looks after the guest's and is so caring towards the people in his hotel. I would highly recommend this hotel for its position the owner and the room's. Wonderful time here. Thank you Yannis. Great host, great room!! (very charming) If you are driving there, be sure to contact the host so he can tell or show you where to PARK because it is 5-10 minutes walk to the apartment. Once there, all of old town is at your doorstep. The host was fantastic. The room was tasteful and had all facilities you would expect, and more. Oven, stove top, washing machine, balcony, aircon/heater. Comfy bed, big bathrooms & shower. Fantastic. This was the most hospitable host we have ever encountered on our travels (and we travel for months every year). Welcoming, always willing to provide help when needed and definitely someone we now consider a friend! The facility itself was full of amenities that made our stay special—from robes and slippers to fresh fruit, wine, a washing machine in-unit and a nicely stocked kitchen. The location was in the heart of Rethymno Town, walking distance to restaurants, shops, a pharmacy, a market and the beautiful waterfront area. We have traveled to Greece many times and are always impressed with the hospitality there. But Afroditi takes this to the next level. We only wish we would have stayed here longer, and we certainly will in the future. 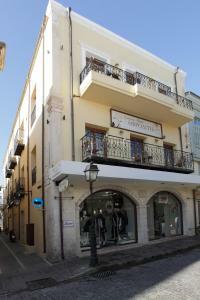 If you're looking for the best experience in Rethymno, go with Afroditi! The host is so generous, friendly and helpful. Very nice rooms.